During my seminary years we worshipped at St. Anthony Park Lutheran Church located directly across the street from the campus. Other regular worshippers were Dr. Alvin Rogness, former president of the seminary, and his wife, Nora. We often sat together during the service and visited during the fellowship hour. Al and Nora lost a son to a tragic accident some years before. The young man was returning home from a year of study at Oxford. At the airport in Minneapolis, ten minutes from home, but accustomed to the flow of English traffic, he stepped off the curb and looked the wrong way. A truck ran over him. One Sunday morning after worship Al and Nora spoke of those early days of grief and shock. People brought condolences but words did little. Al recalled looking out the window of their home one day shortly after their son died only to see a friend from Portland walking up the street. He had heard the news and come as soon as he could. Just seeing him, Al said, was the best comfort they could receive. What meant the most was people’s presence. Nothing needed to be said. After many years of being with the grieving I know what Al and Nora observed is true. 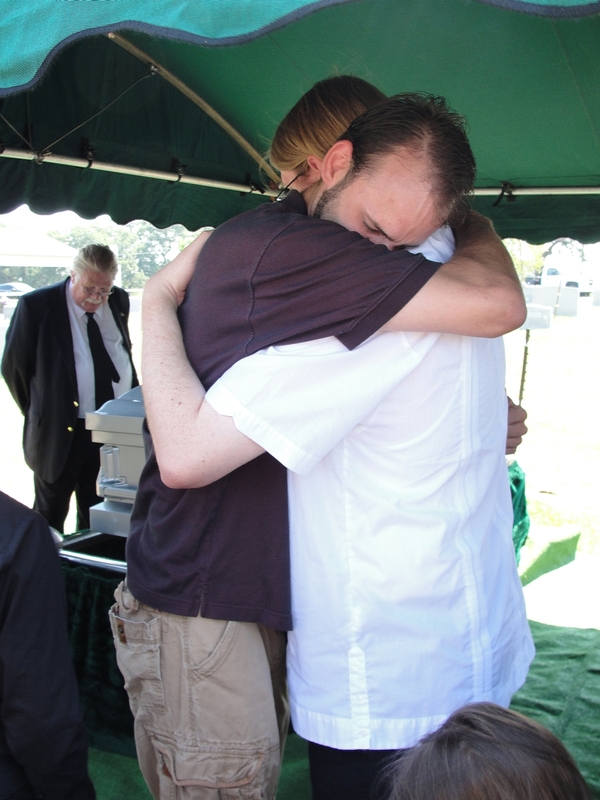 I have seen many mourners at funerals and gravesides who never spoke a word but expressed their love, sorrow and comfort with their tears, a touch on the hand or a warm embrace. There is simply no substitute for being there. “I am with you always”, the Lord promised his disciples. It is the promise of presence in the midst of all forms of living and dying. For there are times when the Christian has no option but to sink into grief over the relentless sorrows of the confounding world. At such times we may find ourselves unable to hear even the words of our faith. At such times, as in all times, His presence brings that peace and comfort the world neither knows nor gives.